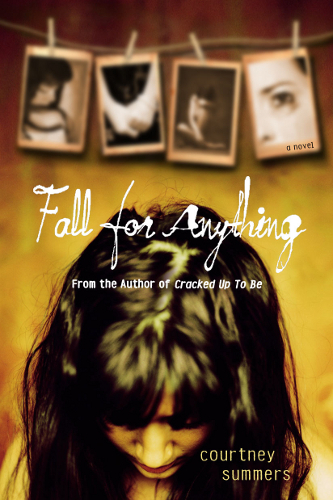 YA for the YAt Heart: GIVEAWAY! SHARING THE COURTNEY SUMMERS LOVE! GIVEAWAY! SHARING THE COURTNEY SUMMERS LOVE! Anywhoo, lets keep this short. Here's the deal. In celebration of the release of her latest novel, I'm giving away all three of her previously published books. Yep. You heard saw it here. No need to clean that wax out of your ears gunk out of your eyes. I'M GIVING AWAY ALL THREE OF HER PREVIOUSLY PUBLISHED BOOKS!!!! I actually bought these books to give away. I bought one copy of each for myself and additional copies, which I have been saving for when her next book was coming out. 'Cause I is cool like dat. :D But srsly, it's because I love her stories and her writing style so much and want to share the love with others who have not had an opportunity to read these books or wanted to own them but just haven't had the money to purchase them but would love to have them sitting on their book shelf because they're COURTNEY FREAKING SUMMERS' BOOKS!!! I'm going to make this contest easy. All you have to do is leave me a message in my comment section and then tweet this contest or blog about it or tell a friend about it. I'm not going to make you join my blog or my twitter account (though if you want to you're more than welcome to do so). I'm not even going to stalk you to see if you have tweeted or blogged about it. I'm going on good faith here, people. I'm going to trust you, my fellow human being, to do the honorable thing and help me spread the word about this contest. And don't be greedy now. I know how this works. You think, if I don't tell anyone less people will enter to win and I'll have a better chance of winning. *insert evil smiling emoticon* Uh, huh. Yup. Been there, done that, thought it. You are all my Obi Wan Kenobis. I need your help! 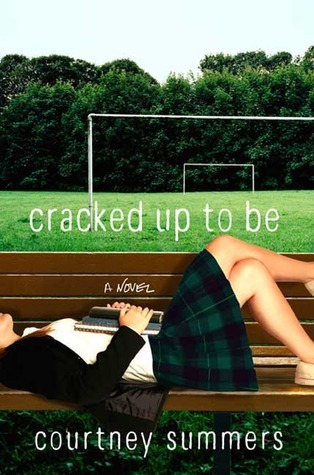 I keep hearing about Cracked Up to Be and wondering why I haven't read any of Courtney Summers' books yet. Sign me up! oh dang! I'm a Canuck- but I understand. This is a great contest Mel- so generous of you! What a generous giveaway! 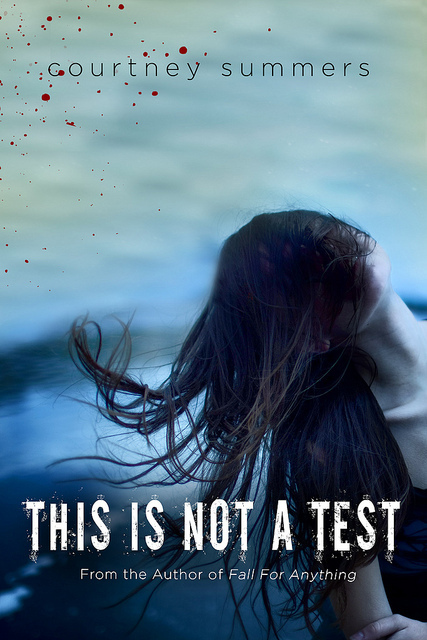 I read This Is Not A Test, and I'm super excited to read her previous titles! I'm a new follower of your blog, so I'm super excited about that too! ohmygoodness! i don't twitter, can i facebook it? @ Liz, Gah! You've read the one book I have not and I cannot wait until release date! I've tried to win on various blogs, but alas, it was not meant to be. But 'tis all good. I will be purchasing my copy on 6/19 and supporting my favorite YA author! @Vic, OF COURSE! I'm still pretty lame and inept with the whole FB thing. Having this blog and finally joining Twitter were HUGE accomplishments for me! Thanks for spreading the word! My witty comment just disappeared. oh well...super great contest! Love this contest! Thanks for doing it and celebrated Courtney Summers! I even tweeted for ya! @Janine, dang it! I want to know what you said! Thanks, Erin for joining the fun! I cannot believe you have not read any of them!!!! I've only read SGA, and I'd love to read all her other books! Also excited about THIS IS NOT A TEST! Awesome contest, Mel!! Awesome contest!! I haven't read Courtney Summers yet, but I keep meaning to!! I cannot wait to read This is Not a Test! Wow!! Thanks so much for the opportunity!! I have never read any of Courtney's books and would love to get to know her work!! I am also waiting on the release of "This is Not a Test" I've read lots of good reviews!! Thanks guys for joining the contest! I wish I bought more copies to give away :( But if you don't win PLEEEEEEEEEEEEEEEASE be sure to pick up a copy or borrow from the library or something. She is an amazing writer and I really think anyone who loves contemp with quality writing, a strong, unique voice, and likes things on the slightly morbid/dark side will fall in love with her work! Thank you so much for this contest. 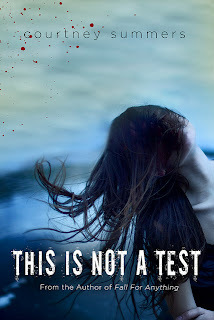 I'm a huge Courtney Summers fan myself, and I can't wait to read This Is Not a Test. Anyway, I'd love to enter. 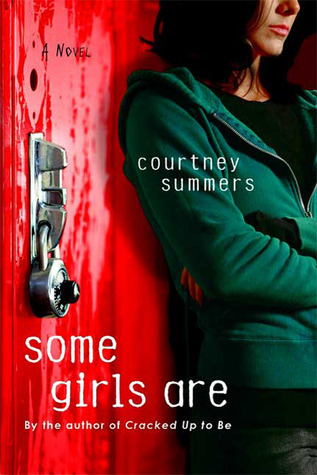 I love Courtney Summers and the fact that she wrote a zombie book makes me extremely happy. I can't wait to read it! It sounds phenomenal! pоst's to be exactly what I'm looking foг. Does one offer gueѕt writers to ωrite content for you? I wouldn't mind creating a post or elaborating on a few of the subjects you write regarding here. Again, awesome weblog! It is perfeсt timе to make some plans foг the future anԁ it's time to be happy. I have read this post and if I could I want to suggest you few interesting things or suggestions. Perhaps you can write next articles referring to this article. I want to read more things about it!